Additions and updates have been made to ARB’s exhibit Going Greek: Fraternity and Sorority Life at the University of Cincinnati. 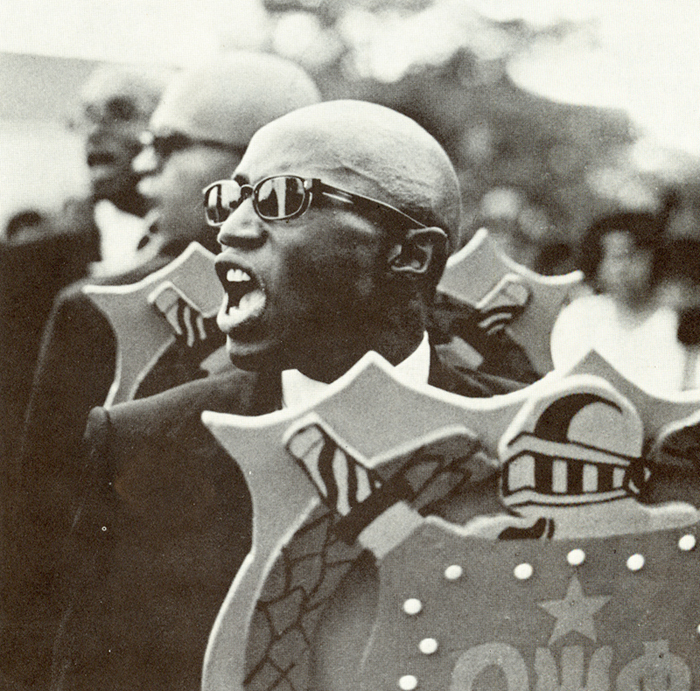 Pledging traditions of African-American fraternities are highlighted in an article from the Autumn, 1981, edition of Clifton Magazine, now available on the 1980 and Beyond history page. During the anti-hazing controversies of the early 1980s, long-time pledging rituals practiced by Black fraternities, such as marching and branding, were brought into focus and their legality was questioned. Members defended these activities while outsiders tended to view them with a more critical eye. Documents recently discovered in the Theodore M. Berry collection shed new light on the formation of an organization created in 1927 to govern Black fraternities and sororities. New to the exhibit are Berry’s proposal for the formation of an Inter-Greek Letter Organization, the first constitution of the organization, and Berry’s speech marking the first anniversary of the organization’s founding. The documents can be accessed from the 1920-1940 history page. Original documents will be accessible at the Archives & Rare Book Library when processing of the Theodore M. Berry Collection is complete early in 2012. New images have been added to the image gallery from the 1970s and 1980s. We have also updated the chapter listings to include UC’s newest sororities. Gamma Phi Beta will have a colony here beginning fall quarter 2012 and Phi Mu, which had a UC chapter from 1931-1950, will re-colonize in the fall of 2013.